Biographies of Seneca County Residents - from Portrait and Biographical Record of Seneca and Schuyler Counties, New York, 1895. This site has a names index to over 300 biographical sketches. 1813 Gazetteer of New York, Seneca County Section - from A Gazetteer of the State of New York, by Horatio Gates Spafford, 1813. Pp. 102-103. Provided online courtesy of Bill Hecht. History of Seneca Co., New York, with illustrations descriptive of its scenery, palatial residences, public building ... and important manufactories. Published by Everts, Ensign & Everts in 1876. Brigham's Geneva, Seneca Falls and Waterloo Directory and Business Advertiser: For 1862 and 1863. Compiled by A. DeLancey Brigham, printed by the Steam Power Press of the Geneva Gazette, 1862. Provided online courtesy of the Central Library of Rochester and Monroe County. Gazetteer and business directory of Seneca County, N.Y., for 1867-8. Provided online courtesy of the Tompkins County NY Public Library. Yates, Schuyler, Tompkins and Seneca Counties, New York, Farm Directory for 1914. Published by Orange Judd Co., 1914. Portrait and Biographical Record of Seneca and Schuyler Counties, New York. Published by Chapman Publishing Co., 1895. Reference business directory of Seneca County, N.Y., 1894-'95. Compiled by Hamilton Child, 1894. Provided online courtesy of the Tompkins County NY Public Library. Centennial Anniversary of Seneca County. Published by the Seneca Falls Historical Society, 1904. "Grip's" Historical Souvenir of Seneca Falls N.Y. By Edgar Luderne Welch, 1904. "Grip's" historical souvenir of Waterloo, N.Y. By Edgar Luderne Welch, 1903. Centennial Celebration of the Official Organization of the Town of Romulus, Seneca County, New York. By Diedrich Willers, published 1894. Centennial Historical Sketch of the Town of Fayette, Seneca County, New York. By Diedrich Willers, printed in Geneva NY by the Press of W. F. Humphrey in 1900. Cayuga Bridge. By John W. Wells, published by DeWitt Historical Society of Tompkins County, Inc., 1966. Provided online courtesy of the Tompkins County NY Public Library. Manual of the Churches of Seneca County with Sketches of their Pastors, 1895-96. ByThe Courier Printing Company, Seneca Falls NY, 1896. Simeon DeWitt and Military Tract Township Names. By Albert Hazen Wright, published by DeWitt Historical Society of Tompkins County, Inc., 1961. Provided online courtesy of the Tompkins County NY Public Library. Index. The balloting book and other documents relating to military bounty lands in the state of New-York. Albany, 1825. Published by the Onondaga Historical Association, 1954. Provided online courtesy of the Tompkins County NY Public Library. The Cayuga Indian Reservation and Colonel John Harris. By John Van Sickle, published by DeWitt Historical Society of Tompkins County, Inc., 1965. Provided online courtesy of the Tompkins County NY Public Library. The Story of the Cayugas, 1609-1809. By Mary Van Sickle Wait, published by DeWitt Historical Society of Tompkins County, Inc., 1966. Provided online courtesy of the Tompkins County NY Public Library. The Pathfinders of the Revolution; a story of the great march into the wilderness and lake region of New York in 1779. By William E. Griffis, published by W. A. Wilde Company, ca. 1900. Provided online courtesy of the Tompkins County NY Public Library. The Sullivan Expedition: an Address Delivered at the Seneca County Centennial Celebration at Waterloo, September 3, 1879. By Rev. David Craft, published in Waterloo NY in 1880. Population schedules of the second census of the United States, 1800, New York [microform]. This reel is for the old Ontario, Cayuga, Chenango Counties. 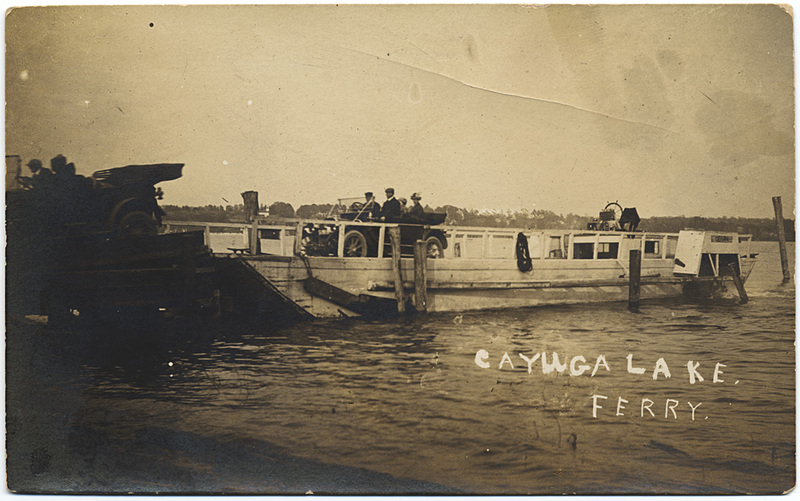 In 1800 what later became Seneca County was part of Cayuga County. Population schedules of the third census of the United States, 1810, New York [microform]. This reel includes what was then a much larger Seneca County. Population schedules of the fourth census of the United States, 1820, New York [microform]. This reel includes Seneca County. Population schedules of the fifth census of the United States, 1830, New York [microform]. This reel includes Seneca County. 1905 New York State Census Index Search. Provided for free by the LDS Familysearch website. 1915 New York State Census Index Search. Provided for free by the LDS Familysearch website. 1925 New York State Census Index Search. Provided for free by the LDS Familysearch website. Fulton History: searchable database of New York State historical newspapers, many from the 19th century. None from Seneca County, but much local news turns up in neighboring county papers. Civil War Soldier Database Search. For ordering Civil War Service Record from the New York State Archives. The search form also lets you search for all the names of men who served in a particular NYS regiment. Images of Historic New York State. This site has scans of old postcards. Don't miss the link to Ovid to see a transcription of a young man's diary from 1876. Marriage and Death Notices from Seneca County, New York, Newspapers, 1817-1885. By Mary S. Jackson and Edward F. Jackson, published by Heritage Books in 1997. Contains over 3,000 notices culled from 8 early Seneca County newspapers. Not on line as this book is within copyright. Some Cemeteries of the Between the Lakes Country (portions of Seneca, Schuyler, and Tompkins Counties, N.Y.), 3 vols. Collected by Jessie Howell Finch, 1889-1968, and others; compiled and edited by Carl W. Fischer, Harriet Jackson Swick. Published under the sponsorship of the Chief Taufhannock Chapter, D.A.R. in Trumansburg, N.Y. 1974. Not on line as it's within copyright. Postcard of "Old Toll Bridge Point, Cayuga Lake, Seneca Falls, N.Y.
Postcard of Old Mill & Bay, East Varick N.Y. Early Postcard of Main St., Interlaken N.Y. Early Postcard of L.V.R.R. Station, Interlaken N.Y. The Coleman House Hotel, Kidders, N.Y.
Postcard of Cayuga Lake House, Sheldrake, Seneca Co., N.Y. Early State Agricultural College Building, Willard N.Y. Looking Down South Side Fall St.
© 1997-2007 Diane Lerch Kurtz, former Seneca County NY coordinator, and Betty Auten, former Seneca County NY historian.